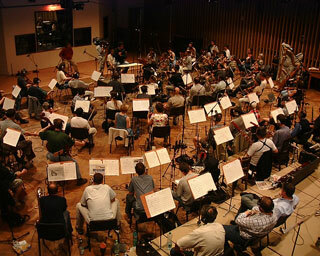 Music recordings are an important tool for choirs. From archive concert recordings to studio produced recordings, the world of music recording is changing rapidly. Below you will find recording tips, information about mechanical licenses and options for selling your music by download. Archive recordings are an important element in preserving the history of your chorus. They also offer the conductor and singers a chance to review and critique their work. Make it a priority to record each concert whether or not you decide to distribute those recordings. As long as you are not distributing these recordings you are allowed to record your concerts without obtaining a mechanical license. Selling commercial recordings is rarely a money-making venture these days. On the other hand, it is easier than ever to record and distribute choral music. Tresona is partnering with GALA Choruses to help make our member choruses’ music accessible. Once your recording master is finished simply send it to Tresona and they will help secure the proper mechanical licenses, offer the tracks for download purchase on their website and distribute your chorus tracks to common distributors including Amazon and CD Baby. Contact Tresona for more information. While it is easy to record music these days it is still very important that you prepare carefully. Prepare a budget for the entire project including distribution costs if you are planning to create a physical CD with a jewel case and art work. Choose your repertoire carefully. Is there a market for this music? Is it your best work? Do you have permission from each copyright holder to distribute this music – or can you get it? See Copyright & Licensing. Prepare artistically. Don’t use precious recording time as rehearsal time. Schedule plenty of time. It can take hours to get a high quality recording. Advise your singers to dress comfortably, give them plenty of snack breaks and be patient. Don’t expect to make money. There are other benefits of recording: PR, sponsorships, gifts to donors, pride of your singers, fundraising opportunities. Here are some tips to help guide your recording process. Tim Sarsany’s Tips include the pros and cons of recording a live concert vs a studio recording. One way to bridge these pros and cons is to include a recording session on the same day (and in the same venue) as your concert. This saves on cost but can be tiring for your singers! Check out these tools to assist in planning your recording project. Any time you distribute a recording, whether for sale or free, you are required to have permission from the copyright holder in the form of a Mechanical License. See Copyright & Licensing. Admin detail give you a headache? Check out GALA’s resources for Chorus Managers for lots of tips and tools.